ntiviral Res. 2006 Dec;72(3):242-51. Epub 2006 Jul 14. Resveratrol suppresses nuclear factor-kappaB in herpes simplex virus infected cells. Faith SA, Sweet TJ, Bailey E, Booth T, Docherty JJ. Department of Microbiology, Immunology and Biochemistry, Northeastern Ohio Universities College of Medicine, Rootstown, OH 44272, USA. Resveratrol inhibits herpes simplex virus (HSV) replication by an unknown mechanism. Previously it was suggested that this inhibition may be mediated through a cellular factor essential for HSV replication [Docherty, J.J., Fu, M.M., Stiffler, B.S., Limperos, R.J., Pokabla, C.M., DeLucia, A.L., 1999. Resveratrol inhibition of herpes simplex virus replication. Antivir. Res. 43, 145-155]. After examining numerous cellular factors, we report that resveratrol suppresses NF-kappaB (NF-kappaB) activation in HSV infected cells. Reports have indicated that HSV activates NF-kappaB during productive infection and this may be an essential aspect of its replication scheme [Patel, A., Hanson, J., McLean, T.I., Olgiate, J., Hilton, M., Miller, W.E., Bachenheimer, S.L., 1998. Herpes simplex type 1 induction of persistent NF-kappa B nuclear translocation increases the efficiency of virus replication. Virology 247, 212-222; Gregory, D., Hargett, D., Holmes, D., Money, E., Bachenheimer, S.L., 2004. Efficient replication by herpes simplex virus type 1 involves activation of the IkappaB kinase-IkappaB-RelA/p65 pathway. J. Virol. 78, 13582-13590]. Electromobility shift assays determined that resveratrol, in a dose dependent and reversible manner, suppressed activation of NF-kappaB in Vero cells infected with HSV-1, HSV-2 and acyclovir resistant HSV-1. Furthermore, resveratrol did not protect IkappaBalpha, a cytoplasmic NF-kappaB inhibitor, from degradation in HSV-1 infected cells. Immunohistochemical studies demonstrated that RelA/p65, a component of the dimeric NF-kappaB complex, translocated to the nucleus of HSV-1 infected cells in the presence of resveratrol. Finally, direct effects on viral transcription and DNA synthesis were evaluated. Real-time RT-PCR analysis showed that resveratrol treatment of infected cells resulted in reductions of mRNA for ICP0, ICP4, ICP8 and HSV-1 DNA polymerase by 2.1-, 3.3-, 3.8- and 3.1-fold, respectively. Plus, mRNA for glycoprotein C, an HSV late gene, was completely absent in the presence of resveratrol. Lastly, quantitative PCR showed that resveratrol significantly blocked HSV DNA synthesis. Cumulatively, these data indicate that resveratrol (i) suppresses HSV induced activation of NF-kappaB within the nucleus and (ii) impairs expression of essential immediate-early, early and late HSV genes and synthesis of viral DNA. Resveratrol inhibition of herpes simplex virus replication. Docherty JJ, Fu MM, Stiffler BS, Limperos RJ, Pokabla CM, DeLucia AL. Resveratrol, a phytoalexin, was found to inhibit herpes simplex virus types 1 and 2 (HSV-1 and HSV-2) replication in a dose-dependent, reversible manner. The observed reduction in virus yield was not caused by the direct inactivation of HSV by resveratrol nor inhibition of virus attachment to the cell. The chemical did, however, target an early event in the virus replication cycle since it was most effective when added within 1 h of cell infection, less effective if addition was delayed until 6 h post-infection and not effective if added 9 h post-infection. Resveratrol was also found to delay the cell cycle at S-G2-M interphase, inhibit reactivation of virus from latently-infected neurons and reduce the amount of ICP-4, a major immediate early viral regulatory protein, that is produced when compared to controls. These results suggest that a critical early event in the viral replication cycle, that has a compensatory cellular counterpart, is being adversely affected. J Exp Clin Cancer Res. 2009 Jul 1;28:96. doi: 10.1186/1756-9966-28-96. Resveratrol exhibits a strong cytotoxic activity in cultured cells and has an antiviral action against polyomavirus: potential clinical use. 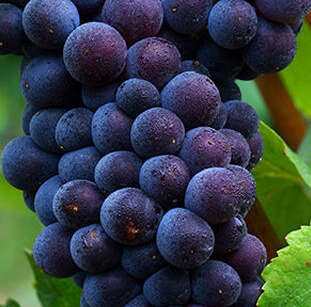 Berardi V, Ricci F, Castelli M, Galati G, Risuleo G.
Resveratrol is a non flavonoid polyphenol compound present in many plants and fruits and, at especially high concentrations, in the grape berries of Vitis vinifera. This compound has a strong bioactivity and its cytoprotective action has been demonstrated, however at high concentrations the drug exhibits also an effective anti-proliferative action. We recently showed its ability to abolish the effects of oxidative stress in cultured cells. In this work we assayed the bioactivity of resveratrol as antiproliferative and antiviral drug in cultured fibroblasts. Studies by other Authors showed that this natural compound inhibits the proliferation of different viruses such as herpes simplex, varicella-zoster and influenza A. The results presented here show an evident toxic activity of the drug at high concentrations, on the other hand at sub-cytotoxic concentrations, resveratrol can effectively inhibit the synthesis of polyomavirus DNA. A possible interpretation is that, due to the damage caused by resveratrol to the plasma membrane, the transfer of the virus from the endoplasmic reticulum to the nucleus, may be hindered thus inhibiting the production of viral DNA.